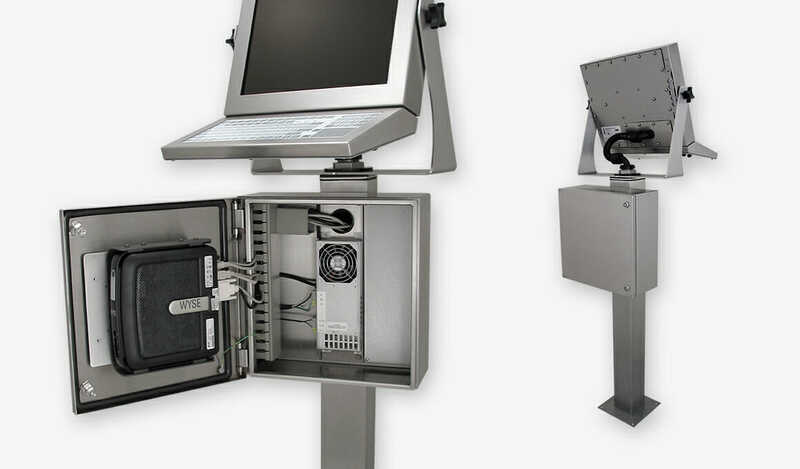 Hope Enclosures for Commercial and Industrial PCs provide a sealed, clean, and cool operating environment for any 3rd-party desktop or industrial PC – even in full wash-down manufacturing environments. 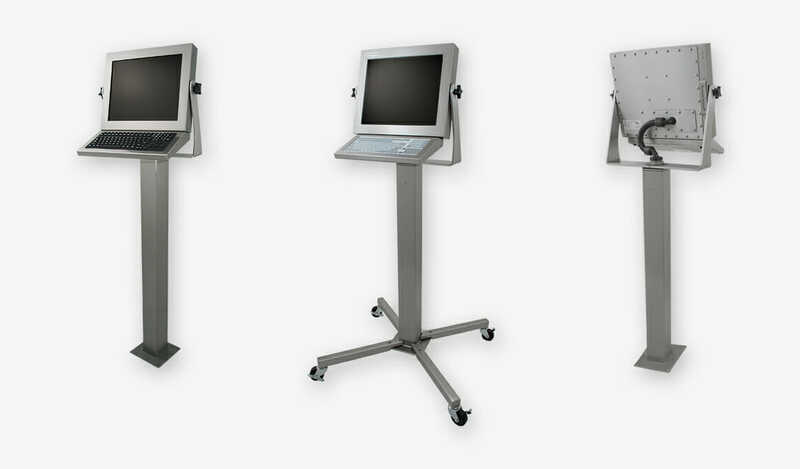 Create a full stand-alone workstation by adding a Universal Mount Monitor, Industrial Keyboard, and Pedestal Mount. 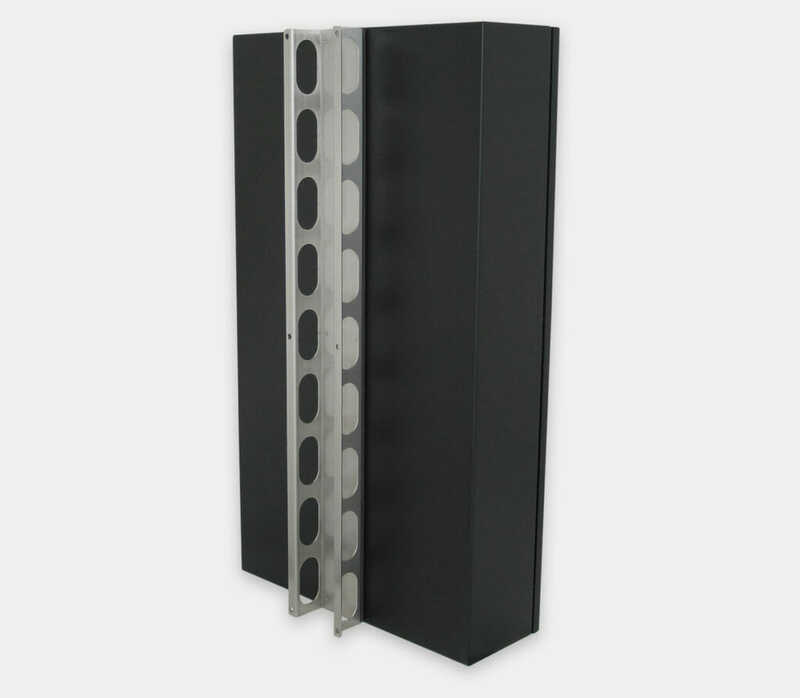 Each enclosure is constructed of heavy-gauge stainless or black powder-coated steel and is sealed to IP65/IP66 specifications. 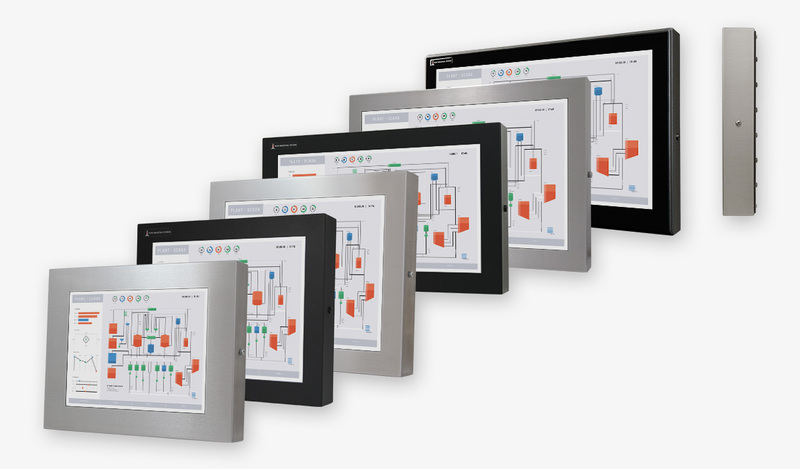 This allows both commercial and industrial computers to be safely used in a factory environment. Built-in power distribution, dual removable pre-drilled mounting plates, and internal cable routing provide a clean, simple installation and an optional internal cooling system helps keep more powerful PCs from running hot. 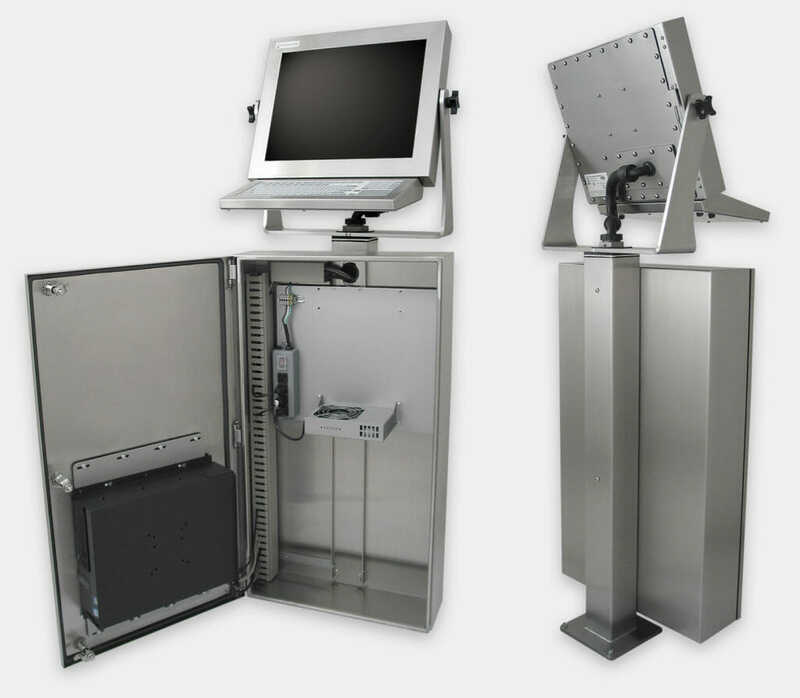 Our Commercial/Industrial PC Enclosures form part of the modular Hope Industrial Workstation System by allowing most 3rd-party PCs to be mounted directly at a factory operator station. 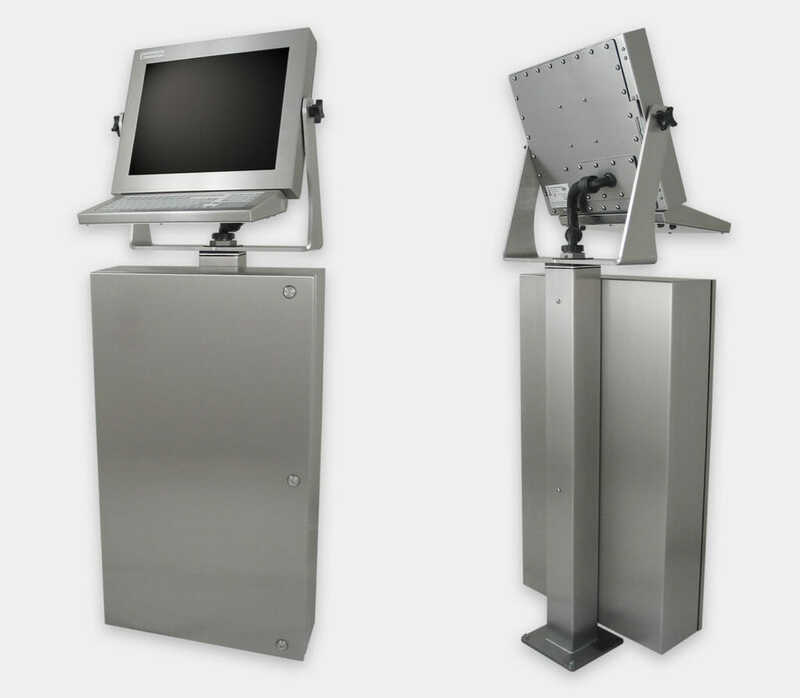 These enclosures can be combined with a Universal Mount Monitor, Industrial Keyboard, and Floor-standing Pedestal Mount to create a full stand-alone workstation. Enclosure size and component placement help distribute heat throughout the enclosure to maximise heat transfer through the sheet metal, keeping internal components cool. When higher internal wattage is needed, an optional internal cooling kit improves overall heat handling and reduces internal hot-spots. Heat Handling – dependent on total wattage and maximum operating temperature of user-supplied PC and other devices. See Technical FAQs (above) for details. Maximum PC Dimensions (W x H x D) – 470 mm x 470 mm x 152 mm total maximum clearance for computer, cable connectors, and cable bend. See Technical FAQs (above) for details. Optional Cooling Kit (Part Number: MK-PC10-STD) – integrated fan stirs internal air to eliminate hot-spots and increase heat dissipation through enclosure walls. Does not circulate outside air. 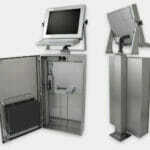 What are the advantages of the Hope Industrial PC enclosure? 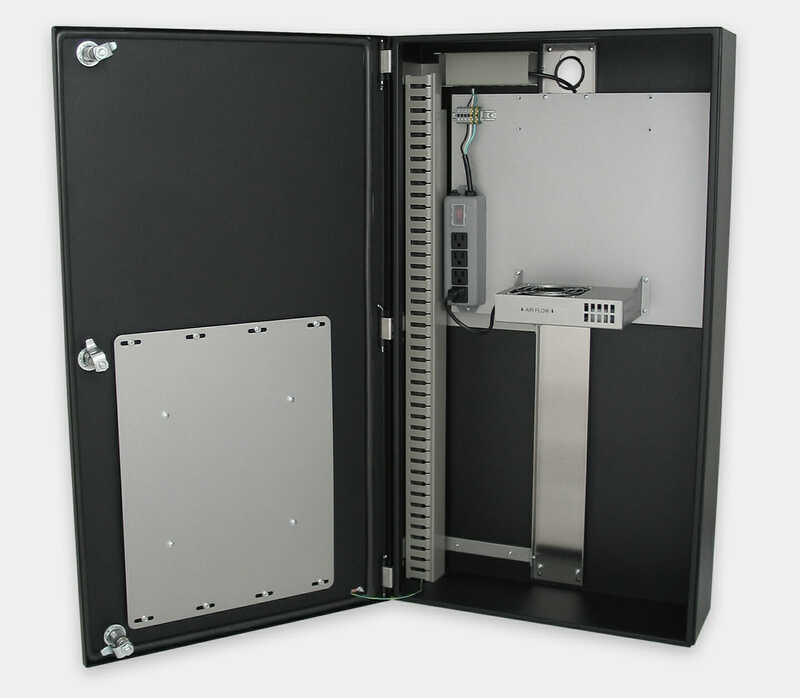 Using off-the-shelf enclosures requires solving a common set of issues: selecting a suitable enclosure, finding a way to mount the PC, and mounting the enclosure itself. 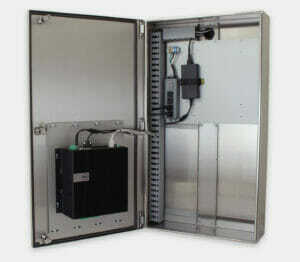 Once an enclosure is selected and mounted, users must then work out how to supply power, keep components cool, and secure cabling. Hope Industrial Commercial and Industrial PC Enclosures simplify this process by solving many of these problems and allowing the entire workstation to be purchased from a single supplier. Which Commercial or Industrial PCs will work with this enclosure? If a device will fit into the provided mounting area and does not give off more heat than the enclosure can safely dissipate (while staying in the device’s recommended temperature range), it will generally work with this enclosure. The maximum internal space for PCs or other primary devices is (W x H x D) 413 mm x 470 mm x 152 mm, which includes a space for typical cable connectors plugged into the rear of the computer. 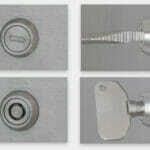 This measurement does not include any allowance for space needed by any required mounting brackets. The maximum allowable space is (W x H x D) 470 mm x 470 mm x 152 mm. A primary internal (W x H) 356 mm x 457 mm PC mounting plate is provided that can be easily removed and drilled to accommodate mounting patterns for various device mounting brackets. 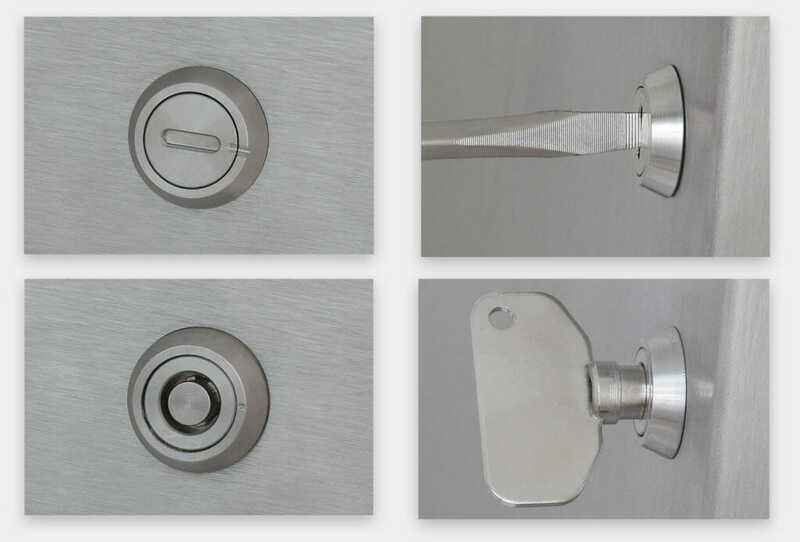 A secondary (W x H) 451 mm x 368 mm service panel is also provided for additional equipment mounting space, up to a maximum allowable size of (W x H x D) 381 mm x 368 mm x 152 mm. 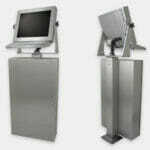 Most industrial PCs have integrated mount points that our mounting plate can easily accommodate. When mounting desktop PC equipment, choose a small form factor (SFF or USFF) design. Many smaller desktop form factors will also fit. If you would like help determining whether your device will fit, or if you would like help selecting a PC, please contact us to speak with one of our engineers. For any given device, the temperature rise difference between the bottom and middle/top portions of the enclosure is as much as 5°C. For best temperature performance, devices should be installed at the bottom of the PC enclosure. The internal cooling kit should only be installed if devices are to be installed in the middle/top portions of the enclosure. The Dell Box PC 5000 series of industrial PC’s is well-suited for use in this PC enclosure due to its thermally efficient design, high heat handling (up to 50°C), and compact size. To accommodate this device, the enclosure arrives with pre-drilled and threaded mount points for use with the Dell mounting bracket (Dell part no. 575-BBKC). A Velcro tie-down strap is provided for securing the Dell DC power supply. Will my PC or other devices run too hot inside this enclosure? Refer to the chart below to determine the expected heat rise inside the enclosure at the wattage determined in step 1. Note that the chart shows two different curves depending on whether you are using the optional internal cooling kit (PN: MK-PC10-STD). With the optional cooling kit in place, better heat dissipation is possible. Use the appropriate line depending on whether or not the internal cooling kit has been installed. When selecting a PC, keep in mind that vented devices and those with lower-wattage consumption will typically run cooler inside the enclosure. Cooler operating temperatures will extend the life of most electronic components. Remember that the heat rise information below is based on extensive testing using a variety of heat sources in a controlled environment. Actual temperature performance can vary dramatically based on environmental factors and even the applications running on the PC. 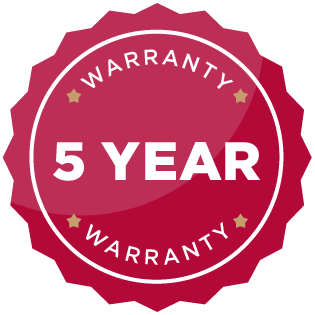 Calculations should be performed to determine suitability of your equipment for use in this enclosure, but actual operating temperatures should be measured once installing equipment in the enclosure to ensure that the manufacturers’ recommended operating temperatures are not exceeded. For applications where additional cooling is needed, contact us for information on active cooling options, which can extend the heat handling capability of the enclosure up to 175W. Keep in mind that many PC manufacturers list the maximum power supply wattage in electrical specifications, which is the absolute maximum wattage the PC can consume. PCs generally consume much less than this: one PC recently tested listed a 300W power supply, but only consumed 50W when running normal business applications. For determining internal heat rise, use the nominal wattage consumed by the device under normal operation, not the maximum power supply wattage. The Dell Box PC 5000 is designed to operate at higher temperatures than most comparable non-industrial PCs. Due to the efficient thermal designs both of the Box PC 5000 and the Hope Industrial enclosure, heat-rise inside the enclosure is negligible when used with the Hope MK-PC10-STD internal cooling kit. The Box PC 5000 combined with the Hope Industrial PC enclosure and MK-PC10-STD cooling can handle ambient temperatures up to the maximum rated temperature for the Box PC 5000 (up to 50°C when equipped with a solid state disc drive). Actual thermal performance may vary if other heat-generating equipment is mounted inside the enclosure. If other equipment will be mounted inside the enclosure along with a Box PC 5000, contact us so that one of our engineers can help calculate expected heat rise.